Paul Stanley Cowan, 84, of ­Molalla, died Dec. 28, 2014 at Molalla Manor. Paul is survived by his wife Ruth; his daughter, Beverly, of Milwaukie, Ore.; his son and ­daughter-in-law, David and Janice Cowan, of Baker City, Ore.; and five grandchildren. His son, Ronald, passed away in December 2009. Paul was born April 13, 1930, in Goodland, Kansas, to Rev.Thomas and Mildred Cowan. His ­family arrived in Oregon when he was about five years old. 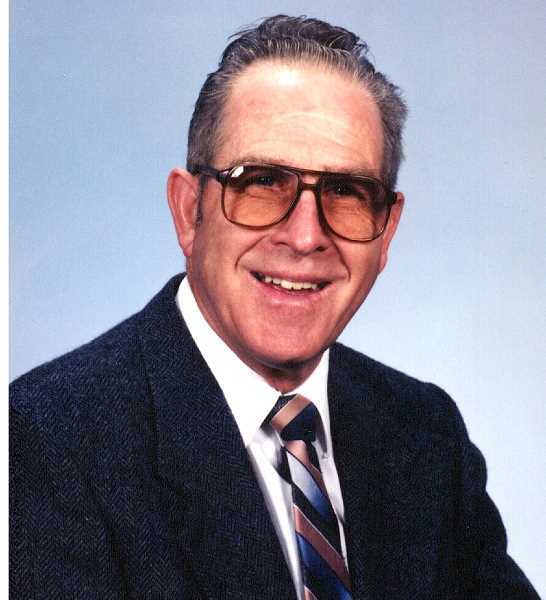 As a preacher's kid, he attended 10 schools before graduating from Molalla High School in 1949. It was there that he met his wife Ruth Walch. Paul and Ruth recently celebrated sixty-five years of marriage. Paul worked most of his life in local sawmills, ­retiring after forty years from Avison Lumber ­Company. He was proud of his work as a lumber grader. Paul was a life-long learner and an entrepreneur at heart. For a decade, he propagated, grew and sold shrubs as Molneeby Gardens. Later, he started a regional bull service and raised Polled Hereford ­cattle as Cowan's Cattle Company. Most importantly, Paul was an active and ­dedicated member of the Silverton Assembly of God church. He let his light shine bright wherever he went and in whatever he did. He will truly be missed by all who knew him. A Celebration of Paul's life will be Saturday, ­January 10, at 11 a.m. at the Silverton Assembly of God, 437 N. James St., Silverton, Ore., 97381. All are welcome. Paul Cowan, of Molalla, died December 23, 2014 at Molalla Manor. He was 84. He was born April 13, 1930 in Goodland, Kansas. A memorial service is being planned and will be announced in the next edition of the Pioneer.